Google this morning unveiled Android Wear, the project that will bring Android – and more importantly, Google Now – to smartwatches. Really, it's the project that will make smartwatches relevant. As part of the announcement, El Goog announced that it has already partnered with the likes of Motorola, LG, HTC, and Fossil for upcoming watches. Now, LG has made available information about its watch, which is dubbed the G Watch (as if it would be called anything else). According to PR, the G Watch will be announced "in the coming months." Engadget suggests that we could actually see it as early as Q2 of this year, which is just right around the corner. Unfortunately, there still aren't any specific details about what sort of hardware the device will run, nor is pricing information available. However, LG is looking for the watch to be a "low barrier to entry" for devs, so it will likely be very competitively priced. SEOUL, Mar. 19, 2014 ― LG Electronics (LG) is working together with Google on LG G Watch powered by Android Wear™, which extends the Android platform to wearables. LG G Watch will be compatible with a wide range of Android™ smartphones and will present relevant information to users just when they need it or whenever they say “OK Google” to ask questions or get stuff done. 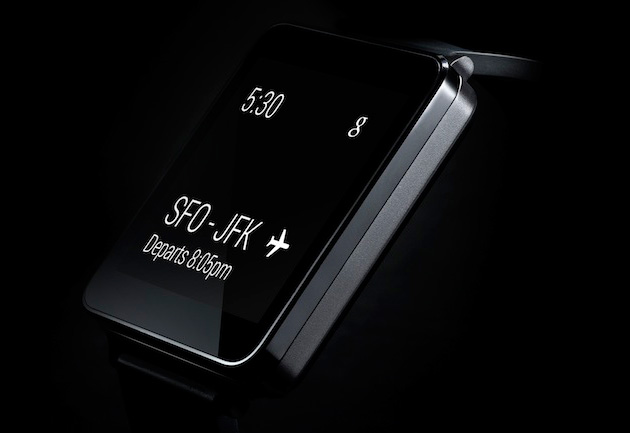 As one of Google’s lead partners in this effort, LG is planning to introduce its first watch powered by Android Wear in the second quarter of 2014.